FandangoNOW, on-demand video streaming service is now available on Xbox One. This is first time that Fandango has released it app on a video game console. 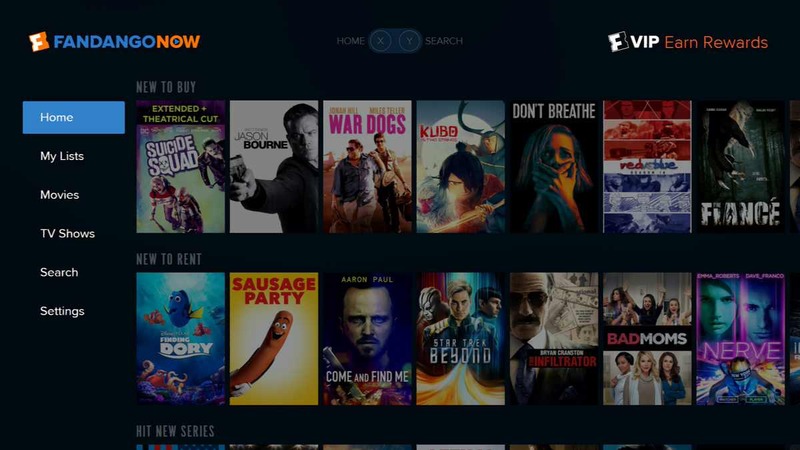 FandangoNOW video streaming serivce lets you access a wide range of on-demand video. The service includes more than 40,000 movies and TV shows that are available to stream. There is no subscription fee, rather, you can purchase or rent movies as you please. TV shows are also available by the episode or as full season passes. FandangoNOW app brings the big screen to your TV screen with premium video streaming anytime, anywhere. From new releases to classic favorites, FandangoNOW lets you instantly watch the latest movies & TV shows from your Xbox – no subscription needed. Instantly stream movies + TV shows at home and on the go. Search and watch over 40,000 new releases and classic favorites– no subscription required. Browse movies + TV shows, view their Rotten Tomatoes® scores and add them to your Watchlist. Link your UltraViolet account to FandangoNOW and access your UltraViolet titles anytime, anywhere. With every stream, we get better at recommending movies + TV shows you’ll love. Watch more and earn more with your free Fandango VIP Rewards account. The more points you earn, the more you save on FandangoNOW. For details, visit fandangonow.com/vip. You can download app from the Windows Store or from the link below.